The General Assembly voted Monday to override Gov. 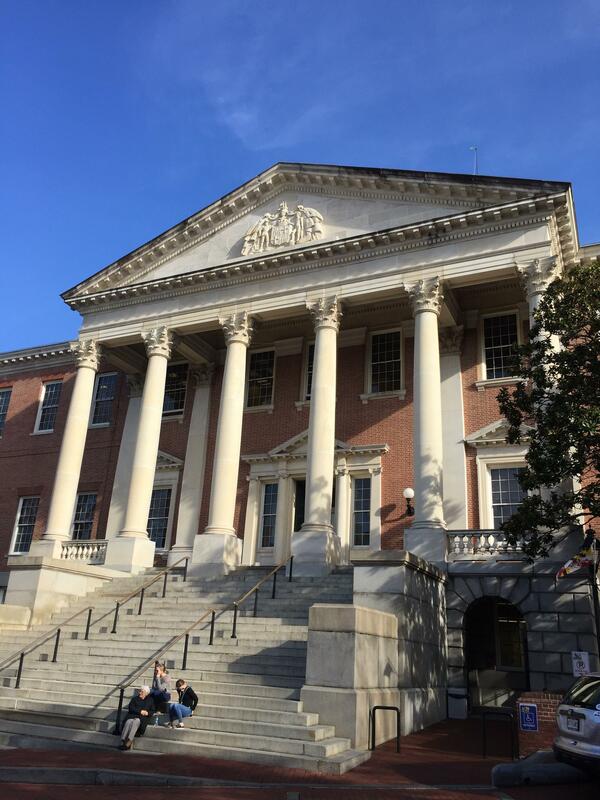 Larry Hogan’s veto of a bill prohibiting oyster harvesting in five Chesapeake Bay tributaries — Harris Creek, the Little Choptank River, the Tred Avon River, the St. Mary’s River and the Manokin River. The bill was sponsored by House Speaker Michael Busch, who died Sunday. Out of deference to him, Senate Minority Whip Stephen Hershey said the Republican caucus would “temper” its opposition. “When it comes to oyster and the overall health of the Bay, we certainly all seek the same outcomes, but as many issues here in Annapolis, we have different ideas and pieces to the overall solution,” Hershey said. A recent study found that the oyster population in the Chesapeake Bay is less than 1 percent what it was pre-colonization. But Republicans say closing off the five tributaries to oyster harvesting isn’t necessary. The moved has faced heavy opposition from watermen. In his veto letter, Hogan called the bill, “bad policy,” and said it’s bad for both watermen and the Bay. The Senate voted to override the veto with exactly the 29 votes needed. Ten years ago, President Obama issued an executive order requiring Maryland and Virginia to restore oyster populations, decimated by disease, over-harvesting and pollution, to tributaries of the Chesapeake Bay by 2025. But that has been easier said than done, according to state and federal scientists meeting in Newport News, Va.
It’s known that oysters are not only a favorite delicacy, but also incredibly beneficial to their habitats because of their water-purifying powers. In fact, a typical adult oyster can purify up to 50 gallons of water a day. But now, Maryland scientists wonder whether the bivalves can serve another purpose: to break up oxygen-starved “dead zones” plaguing the Chesapeake. And they’ve started an experiment in the Severn River, just north of the Route 50 bridge to test the idea. After one of the wettest summers on record—Baltimore received more than two-and-a-half times the normal rainfall from June 1 to August 4 this year—we’re into hurricane season. And although Hurricane Florence may not be as bad for Maryland as originally predicted, it’s still expected to add to the state’s rainfall total. That’s another surge of fresh water in a Chesapeake Bay that already is feeling the effects of all that rain. A longtime staple of our region’s maritime industries, oysters are more than just a briny snack. They play a critical role in the health of the Chesapeake region’s aquatic ecosystems, including the Inner Harbor. Take a listen to learn more. Statements of grief and sympathy at the death of House Speaker Michael Busch came quickly from both sides of the political aisle and all around the state. "My heart is broken for Mike Busch’s family, the State of Maryland, and the Speaker's extended family - elected officials and staff that he has been a mentor and coach to over his time in public service," Senate President Mike Miller wrote in a statement.